Content marketing tops the list of marketing trends for 2013: 66% of consumers tell the Custom Content Council they are more likely to buy from brands with custom content. It’s easy to understand why. Stellar content is a win-win for users, search engines, and businesses alike. Content provides information, education, entertainment, excitement, and brand identity. It gives search engines like Google massive profits and gives businesses the ability to communicate to their demographic. Content marketing also is wonderful for the marketing industry as a whole. It keeps us creative, current, and on our toes. We know that great content marketing necessarily embraces fabulous storytelling, writing, and communication on all levels. But according to the Content Marketing Institute, only 32% of marketers currently believe they’re effective at this integral strategy. One of the biggest mistakes brands make every day in content marketing is a lack of commitment. Even if a company launches a brilliant video or article, that alone can’t draw in necessary crowds and revenues. Content marketing needs to have longevity, and, out of the gate, a solid strategy to create loyalty, cohesiveness, and bottom-line results. 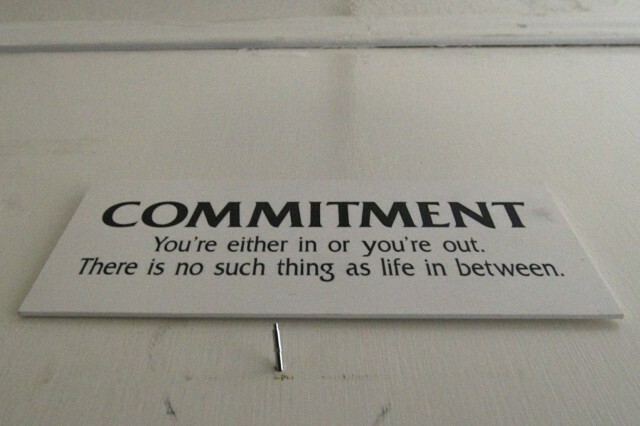 Commitment, therefore, is the key to the content kingdom. Many companies are approaching content marketing as a singular act of intelligent creativity. Strategies often involve intense efforts focused on a handful of content pieces aimed to generate buzz and go viral. But if you don’t have a clear approach on how to vector the traffic generated by a great piece of content into a long-term customer or client relationship, you’ve failed at your ultimate goal. What is with that image? 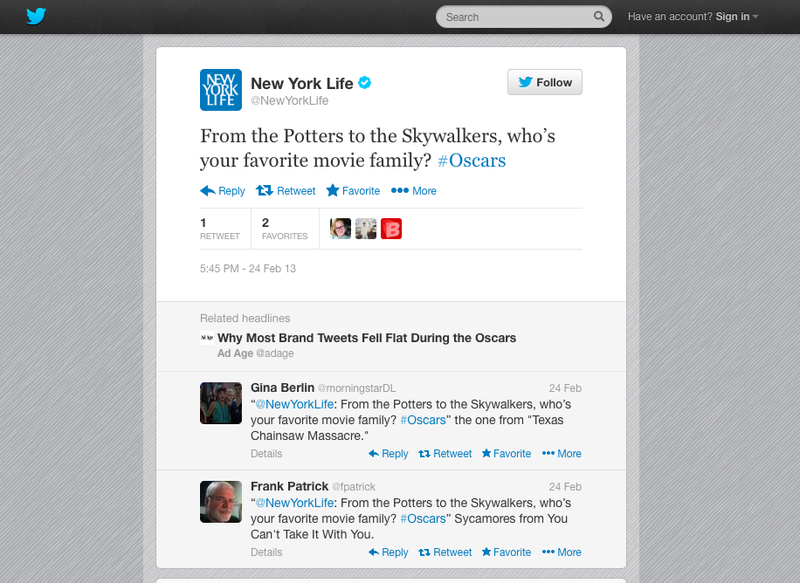 It’s so far removed from the feel of the Oscars, it ends up reading as insincere and uncalculated. 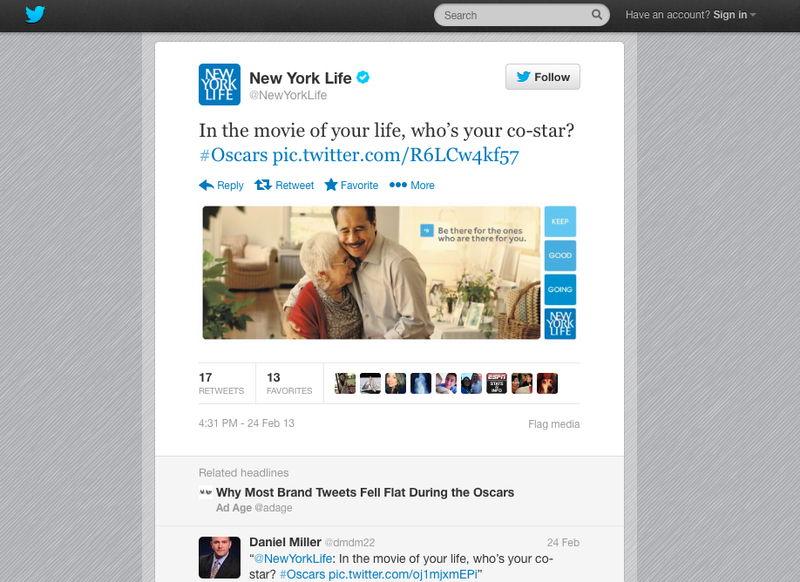 If New York Life had maintained a master content strategy with clearly set goals, they would have been able to see that these efforts didn’t flow with the spirit of consistency and commitment. Red Bull uses 30% of its yearly revenue only for marketing. This is a lot. Only food producers like Nestle or Beiersdorfer invest an equal percentage. After deducting the costs of production Red Bull has a profit margin of 70%. There is no comparable drink producer. Ask seasoned marketers when they begin to plan for holiday campaigns, and their response will likely sometime in the spring or summer. This, too, reflects commitment. Holiday-focused content marketing needs to be plotted and scheduled far in advance to be effective. Yes, the Internet moves at light speed. But these days multichannel marketing is a crucial tactic, and while tweets may be easier to plan in a jiffy, video content, print items, and related offline efforts take time to perfect. Once again, if you’re not staying focused on your master content marketing plan, success is highly unlikely in the long term. In the end, a great content marketing plan involves a dedicated commitment to your brand identity, tone and voice, demographic, editorial calendar (timing is essential! ), and of course, high-quality offerings. Brands who take the time to create and present custom content are interested in creating long-term relationships. The operative word here is relationship. That is precisely what you’re after as you generate content. If every single piece you publish isn’t engendering that loyalty and engagement, they are wasted efforts. This is why commitment separates the content marketing amateurs from the experts.